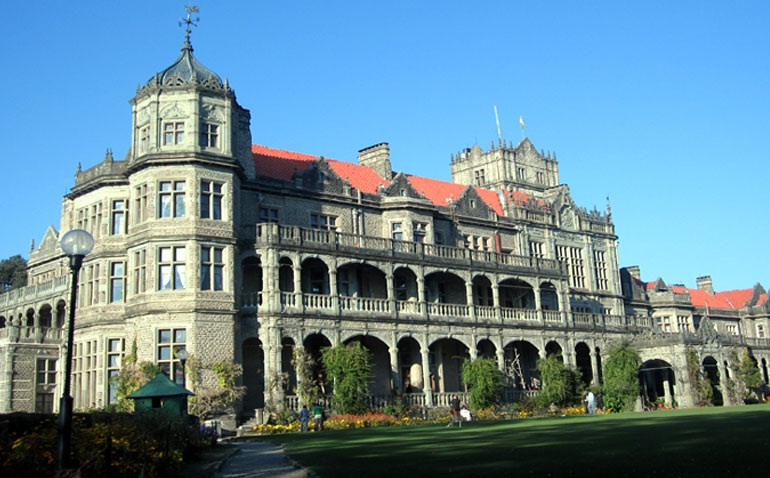 The Indian Institute of Advanced Study (IIAS) is a research institute based in Shimla, India. It was set up by the Ministry of Education, Government of India in 1964 and it started functioning from 20 October 1965. The building that houses the institute was originally built as a home for Lord Dufferin, Viceroy of India from 1884–1888 and was called the Viceregal Lodge. It housed all the subsequent viceroys and governors general of India. It occupied Observatory Hill, one of the seven hills that Shimla is built upon.The building was designed by Henry Irwin, an architect in the Public Works Department. The Viceregal Lodge had electricity as early as 1888, much before the rest of the town of Shimla.The building also was equipped with a sophisticated firefighting mechanism through wax-tipped water ducts. Many historic decisions have been taken in the building during the Indian independence movement. The Simla Conference was held here in 1945. The decision to carve out Pakistan and East Pakistan from India was also taken here in 1947. After India gained independence, the building was renamed Rashtrapati Niwas and was used as a summer retreat for the president of India. However, due to its neglect, Dr. S Radhakrishnan decided to turn it into a centre of higher learning. The summer retreat of the president was shifted from here to a building known as "The Retreat" situated in Chharabra, on the outskirts of Shimla.